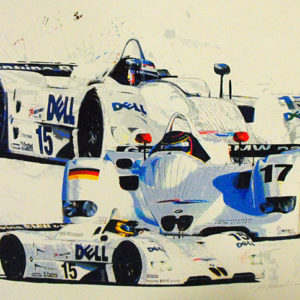 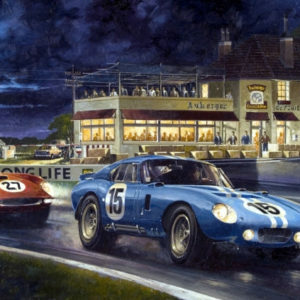 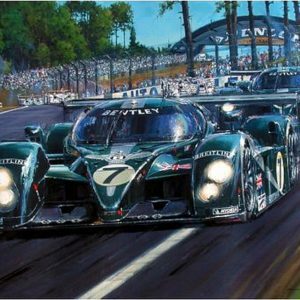 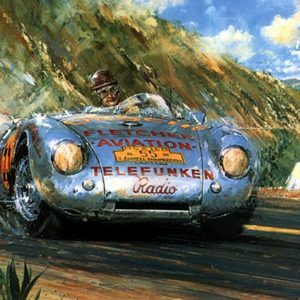 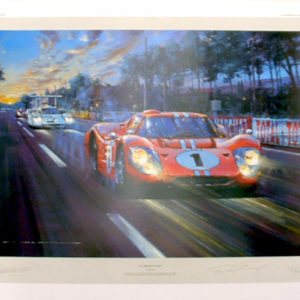 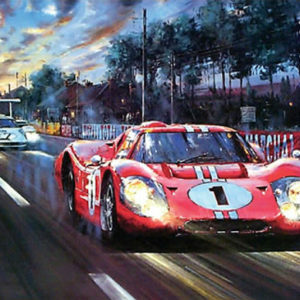 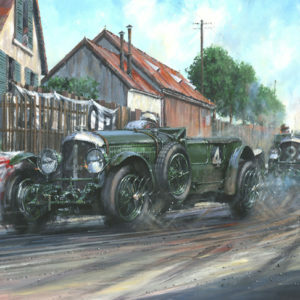 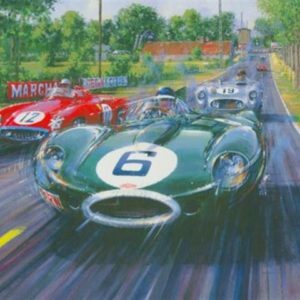 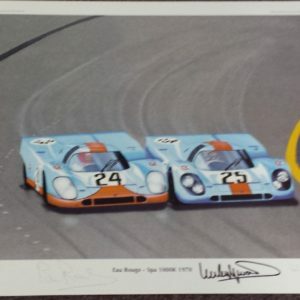 Available Autographed by Brian Redman & Hurley Haywood! 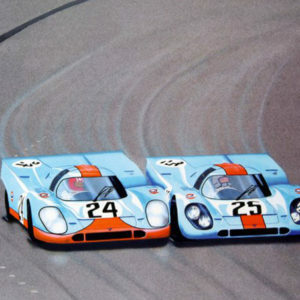 This limited edition of 500 prints features two dueling Gulf Porsches at the 1970 Spa Eau Rouge. 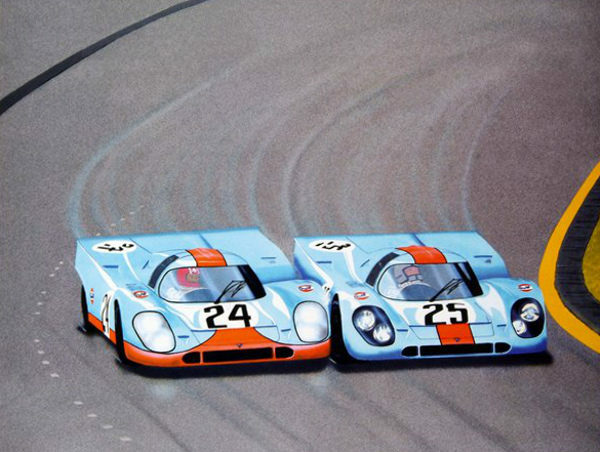 The cars are seen rounding a curve. 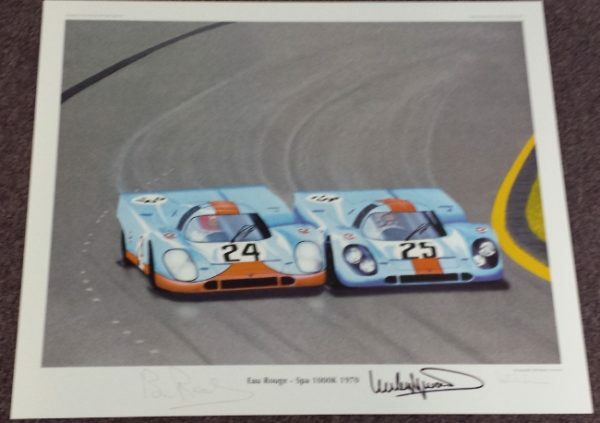 Siffert and Redman in car #24 win this stunning race out dueling car #25 piloted by Rodriguez and Leo Kinnunen.